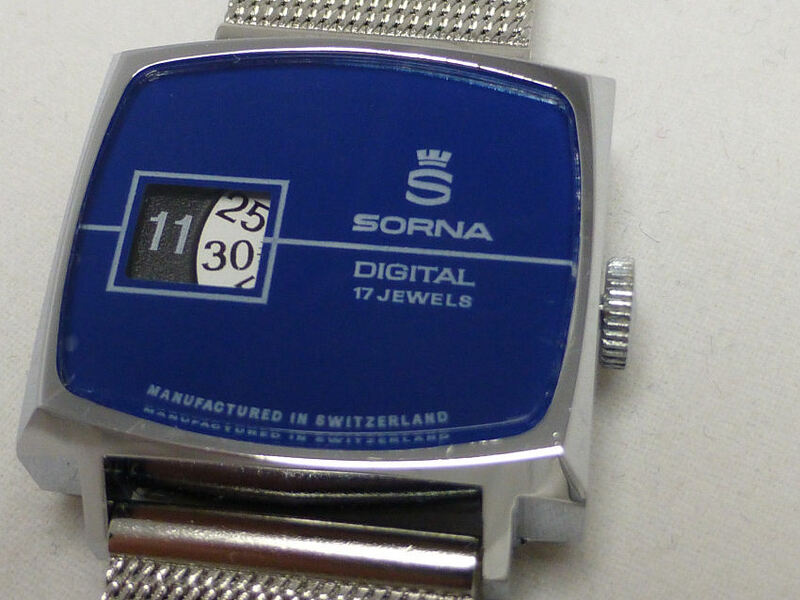 There’s something about early digital watches that really attracts me, mostly because they can look so interesting. Often full of complications and with amazing dial designs, which for me is possibly the most important aspect of these creations. How to display the most relevant information or data to the user, without causing confusion – and still make the function of it, or the “user interface” as they say today, both easy to read, understand and also intuitive to use. Here are a few that for me manage that task pretty well. And yes they are all quartz, battery powered and every so often you have to change the battery – it can be daunting, though once you get the hang of the user logic, these ones are actually easy to manage. Sometimes there are printed highlight notes on the module reminding you to short out this or that, or push all buttons prior to setting up and so on, though that’s basically to clear memory ans rarely affects the basic time function. Any time a battery needs changing – it’s – clear the desk workspace – take care and concentrate. But seeing the display come to life again and then scrolling through the various functions and reminding yourself just what these modules can do, is always a pleasure. Casio vintage Alarm Chrono, had tough times but still good! With a reasonable collection of digitals from the late 1970’s onwards, you can see the dial contrast improvements and the creation of more intuitive commands, to manage this or that function, though I’m still bowled over by some of the early ones and realize just how good they are. I’m not going to go through the functions and so on, but rather just show here a small photo gallery of some of the ones I’ve collected over the years. The dials say it all really and there are many more, many covering all sorts of sports and pastimes, but increasingly difficult to find these in really good condition. They are not expensive and as a result tend to get worn “hard”, often not surviving. Often as not, if the module goes, so does the watch – into the trash, which is a pity as they are a testament to the ingenuity of the first Quartz sports watch pioneers. Many are Japan made and although there are many, many lookalike digitals around from China, none of them have the pedigree of these or indeed the quality of the Japanese modules and displays, which in their day, were truly science fiction, and particularly in the actual design. Rare watches today as they represent a time of change and great innovation and ridiculously accurate for their time too, which is a real bonus. Usually wherever I go when wearing one of these, people comment and mostly they are rather impressed. Not bad after some 40+ years of plastic/resin molding, early display technology and large battery styles – I take my hat off to them – great! Note – I have probably featured these somewhere in the web site at some time as a Post. For more information, just use search. 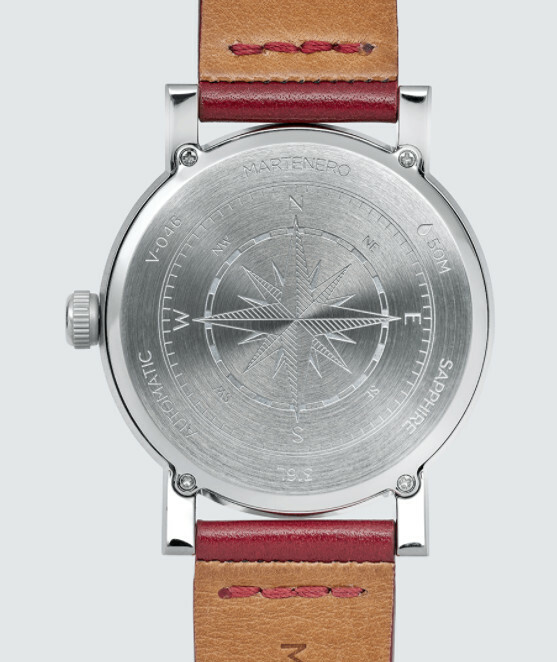 Odd name for a watch I know and not being in the know these days, unfathomable to me, but those folks at Timex marketing have come up with it and it sounds good. . . . For me it differentiates it a little from the Expedition series, one of which I already own. 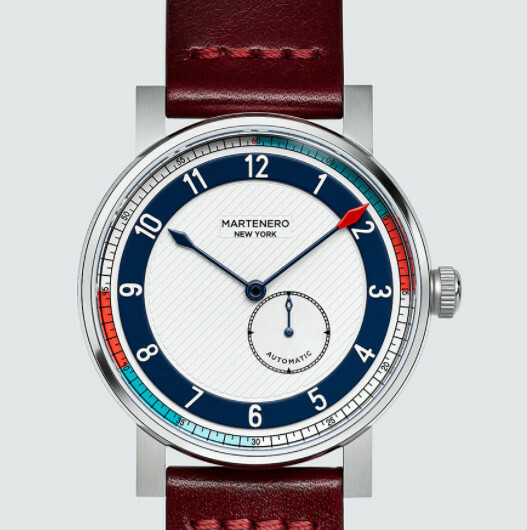 And as my Expedition is one of my very favorite watches, from anybody, I thought that a look at this one in this “Transit” guise would be worth a look. Here they’ve removed the tough looking macho “shock” exterior and replaced it with the running, fitness orientated modern man look that seems to be the thing today (the only thing I run now is a bath and this website!). I have to admit I like it’s clean looks and easy to read dial with large digits on a very clear display, something that I feel Timex leads the way over all others. The contrast is good and the displayed information gives the Day, the Date and the Year, plus the time – what more do you need on a quick glance. And that’s something you can do with this watch – a quick glance is all you need and bingo – no squinting at it, trying to make out poor digits against a poor background. This is for me the way to go in digital displays. And once the daylight fades you can use the Timex patented Indiglo dial lighting system, which I have to admit is brilliant on their digital watches (not so good on their analog ones though – see my views at the foot of this Post). I also like the operation of this Indiglo function. If in a dark place during the day for example, a press of the center colored button and the dial lights up for 3 seconds. But later in the day you can activate the system fully by pressing the center Indiglo button for 4 seconds and what this means is that pressing any button on the watch will light the dial. So no fumbling around looking for that one button – any of ’em will do – the dial light again will illuminate for 3 seconds at a time. The Indiglo system will stay activated (as a system) for the next 8 hours or until you switch it off (4 seconds press of the center button again). Functions on the watch are useful, such as a Countdown Timer and a Stopwatch (sports) with a 10 lap memory, a few Alarms and the watch also has a 100 m Water Resistance which is pretty good. Not a diving watch, but it’s OK to shower with it or swim in the local pool or even on the beach. If beach swimming just remember the salt water doesn’t do anything much good (apart from aching feet), so a rinse in fresh water is a good idea afterwards. A little chunky perhaps (added to by the under body fast wrap strap), but at 40mm very comfortable. 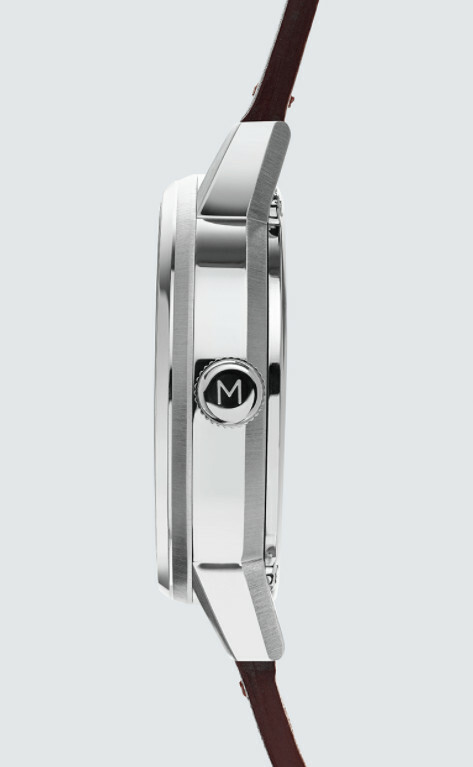 The watch dimensions are just 40 mm diameter which is a little neater than some of the older models and it comes with one of those very useful “Fast Wrap” straps. When I first saw these I didn’t know whether I’d like them, but I do. They are quick and comfortable and usually better than a strap and buckle arrangement, unless they fray, which has been known. 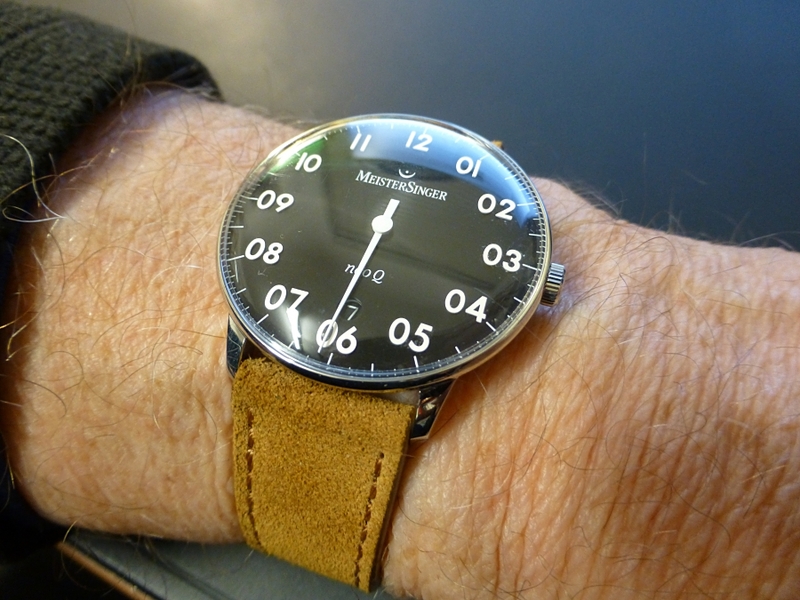 So this is a practical watch from Timex and it’s easy to wear, very easy to see, day or night. Has enough useful features and functions on it, a decent Water Resistance and at a price of under £50 has to be a really good daily beater in any language. I mentioned the Indiglo system of dial illumination and I said it was great on this model and most other Timex digital dial watches. But as I said I’ve always found it to be a great disappointment on any of the non-digital analog models. The reason is that the standard analog watch tends to have hour and minute hands, either colored steel , skeletal or a combination of both PLUS a luminous looking tip or pointer. The numerals and markers are similar and if it is a Date watch with Date window – forget trying to read the Date at night. Indiglo lights up the background dial surface in a sort of fluorescent green and shows everything on the dial as black silhouette and I have to say, not that easy to see. The hands, numerals and markers are simply not at a decent enough contrast to this greenish background (makes my eyes go funny) and forget about any so called luminous tips to the hands – these are also dark. And the date is virtually black and unreadable. On this watch, which is digital, it is brilliant, as is my Expedition, which is a joy to use at night. So a case of technology where it’s needed basically and my maxim is simple – for Digital display Indiglo is OK, but for analog display, good luminous coating or Tritium is the best. Just my opinion and you take it or leave it, but one thing I can’t abide – is not being able to read the time day or night – and I’ve had a few models over the years that manage that feat. I don’t have them now! But as to the Ironman Transit – it has to be great value and you don’t look as it you’re in the Army . . . . You’ve just joined the fitness people! Each year I tend to have a look around the offerings by the Swatch Group, but concentrating not on their high end portfolio, but rather on the Swatch in-house Brand . This is the one started life back in 1989 with the introduction of 12 new models. 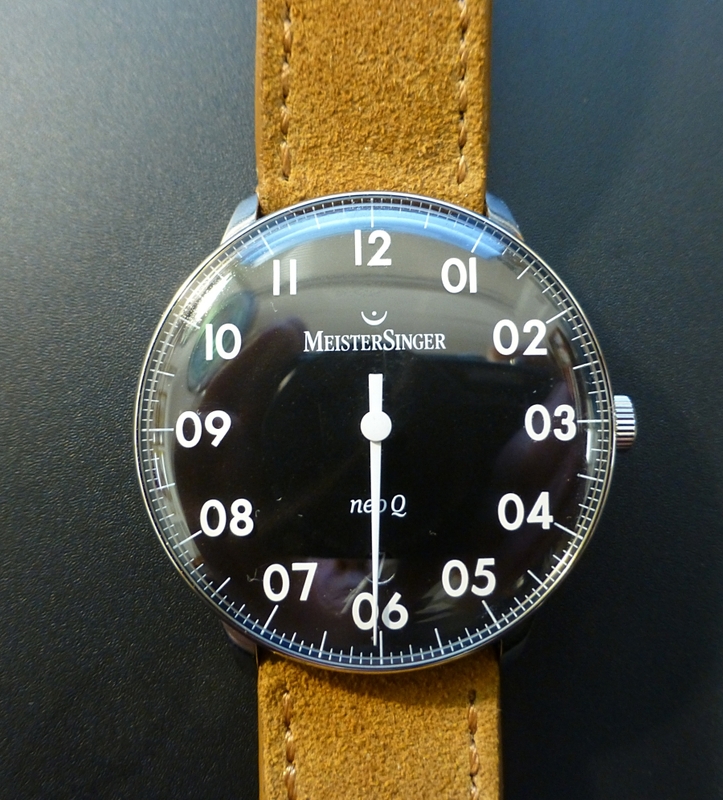 The start of a range of watches from Switzerland, produced to counter the mass influx of cheap quartz watches from Asia. Termed Swatch to infer “second watch” at a low competitive price point, a Swiss movement and a true “Made in Switzerland” logo. It was a successful ploy and they have produced millions of successfully selling watches ever since. Swatch introduce new models often and you can usually guarantee good quality, a good movement and an affordable price. So this year I looked to see what would take my fancy and be my model for this year (it might not be a 2018 build, but one I maybe missed in the past). This time I’ve gone for a black plastic cased, quartz powered model, called the Nightspeed. 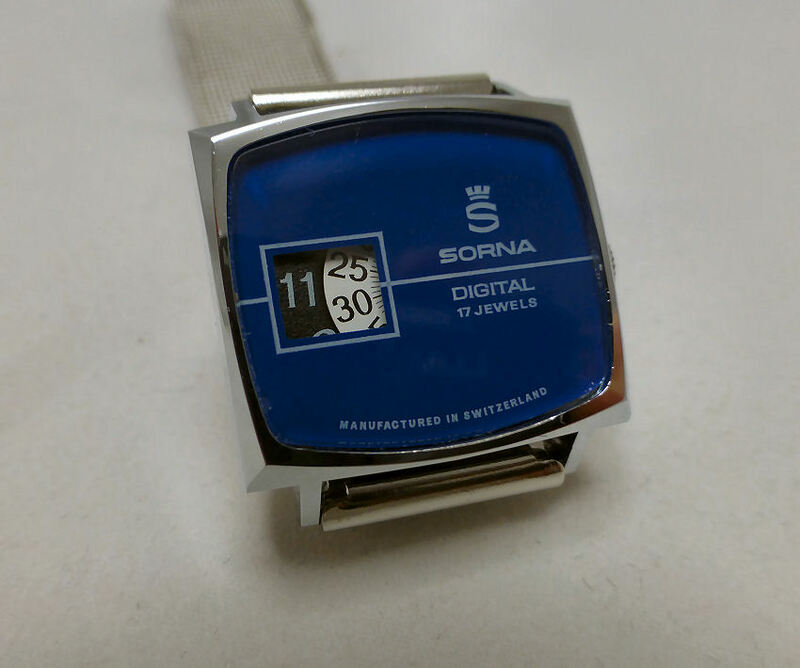 I find it to be a very attractive dark toned blue dial within a black case with a black silicon buckle strap. Fitting to a conventional spring bar fitting on the case, this means you can swap out the strap for any standard one, if you prefer. In the event I like this strap as it’s very flexible, has a nice mat black finish and corresponding buckle. Quick change battery hatch – with battery type inscribed on back. 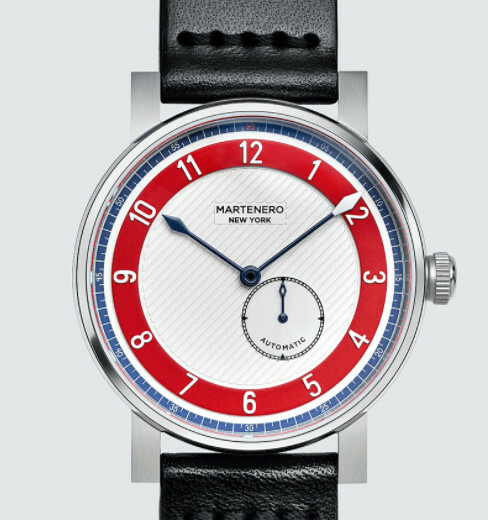 The dial numerals are in white with two different font sizes, the 12, 4 and 8 being larger. There are three sub-dials with running seconds at 6, and the two at 2 and 10 function as stop-watch counters. There is also a date window at 6 with white against black and most of the dial features are luminous. There is a black stop-watch seconds centre sweep hand and the semi skeleton hour and minute hands have white tipped pointers. 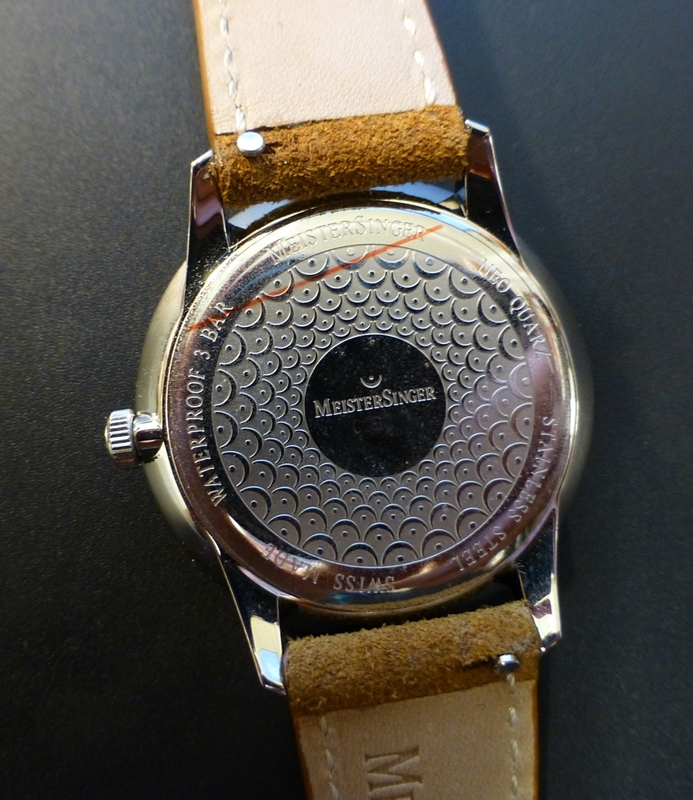 There is a finely marked dial bezel featuring a Km/h marker ring and there are two black pushers on the right, either side of the centre crown for timing functions and setting the watch. Light weight plastic body – easy on the wrist. Note the date window @6. 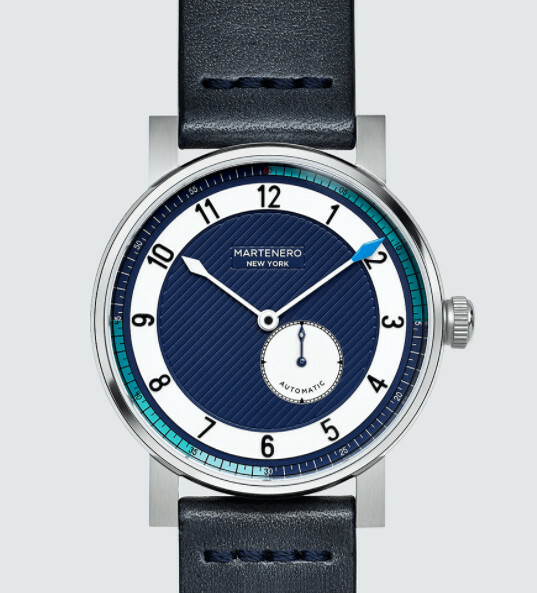 Whilst the color scheme is predominantly black and blue, the white features within the dial make this an easy watch to read. Overall it is both understated and yet very attractive. 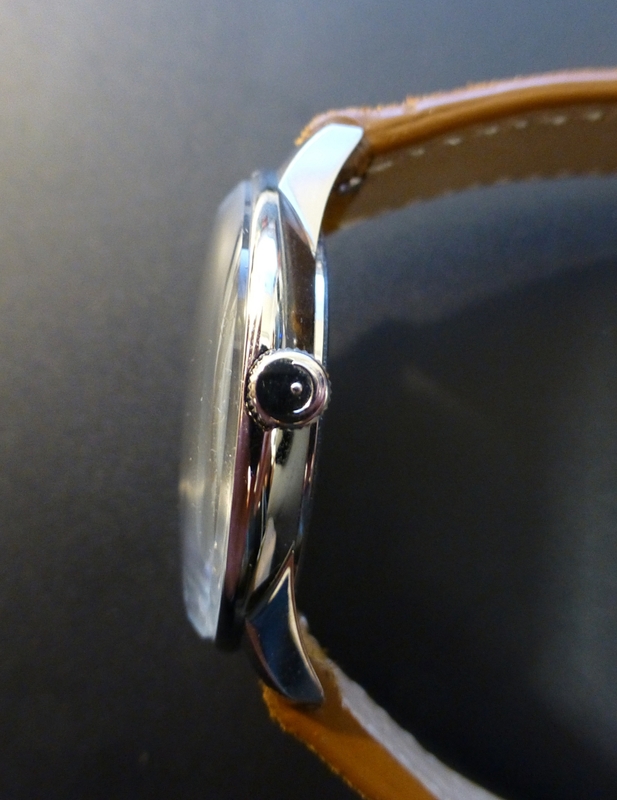 The dimensions are 42 mm diameter and just over 13 mm depth including the slightly domed crystal, so a nicely sized watch and being plastic cased is very light on the wrist. According to the data on the Seller’s website, the Water Resistance is quoted as 30m, though with the Swatch quick change battery “hatch” as opposed to a full screw back, I’d be cautious it testing how good that may be! One neat point to note is the battery type (394) is inscribed along-side the hatch, which is very useful. 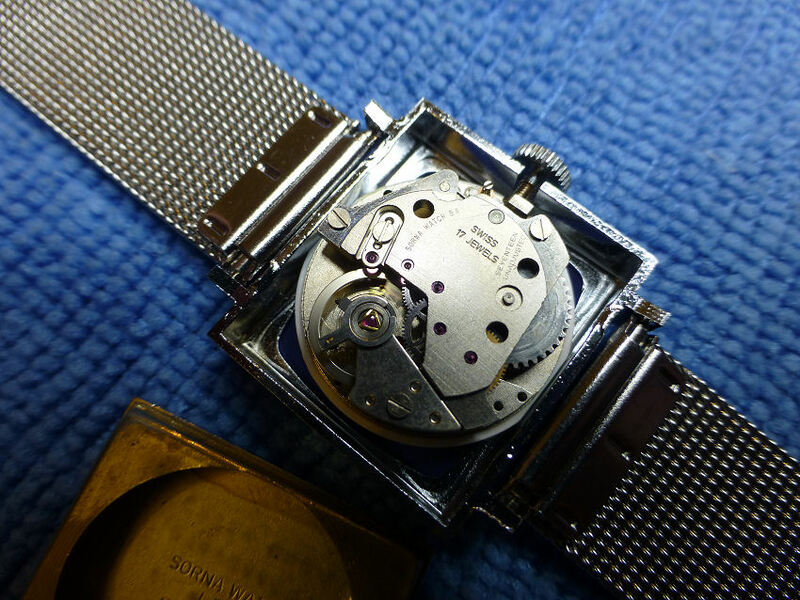 The Swatch 4 jewel Quartz movements, I’ve found and certainly the ones I own are both accurate and reliable . . . . which when put together with the general attributes of this particular model, I am certain will be a great model to own and at around £80 represents a good buy. Just a note – if you are looking for a watch to match colors with clothing, it is a fact that generally the Swatch range give you a great choice, as they do offer an extraordinary number of models in all sorts of color options. Just a thought for Christmas. . . .